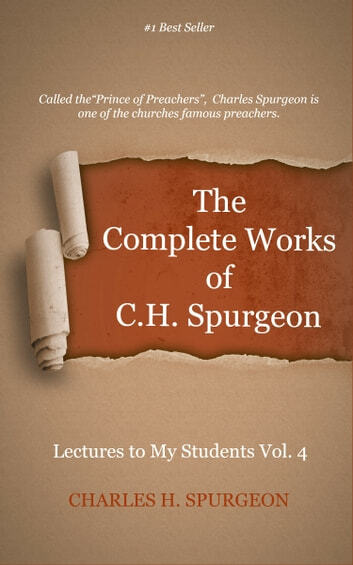 Spurgeon preached to more than 10 million people in his lifetime and many times each week. For 38 years in London he was the pastor of the congregation of the New Park Street Chapel later known as Metropolitan Tabernacle. He was a prolific writer and produced many kinds of works including sermons, commentaries, and autobiography, as well as books on prayer, devotionals, magazines, poetry, hymns and much more. His ability to speak and provoke thought with divine inspiration has amazed audiences in his lifetime as well as now. Spurgeon’s messages have been considered the best literature worldwide. While he is most remembered for being a minster and having a church, his most powerful influence was that he exercised on his fellow ministers and theological students. He organized a college, trained approximately 850 students, spoke at an annual conference of ministers, and looked at this as just part of ’life’s labour and delight’ and these facts are not known as well today. These lectures are filled with down to earth practical points and advice for young ministers. His sense of humor seasons his lectures with an air of refreshment that cannot be found elsewhere. Spurgeon's Lectures to my Students, contains the substance of Spurgeon's regular Friday afternoon addresses to the college students. This new complete and unabridged publication by Delmarva Publications offers a linked table of contents and a new format for ease of reading.